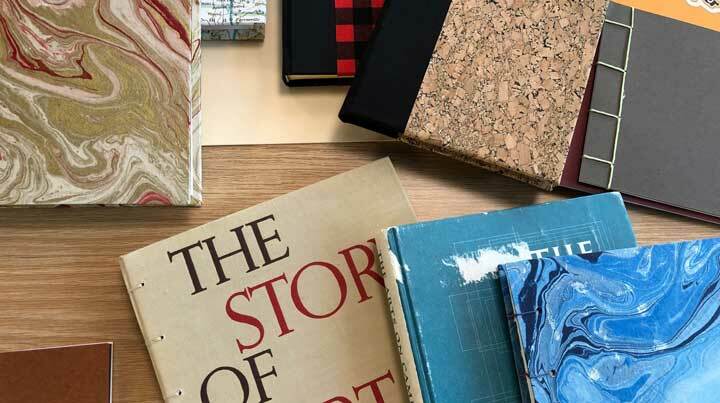 Professor of Art Suzie Garner's handmade sketchbooks..
Instructor of English John Nizalowski's books including his most recent publication "Chronicles of the Forbidden".. Professor of Political Science Tim Casey work reflected recent sabbatical work. . 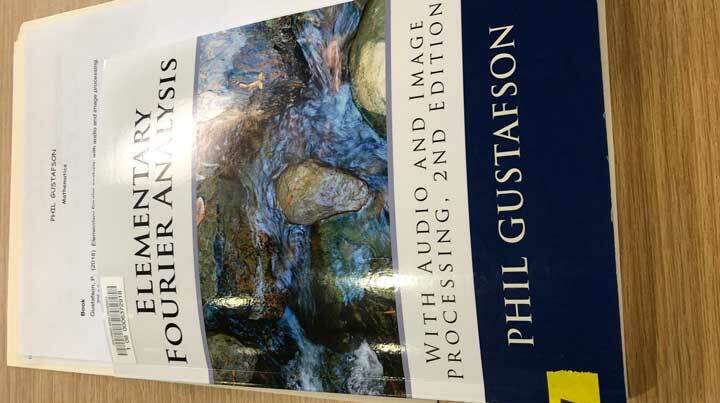 Professor of Mathematics Philip Gustafson's most recent book.. 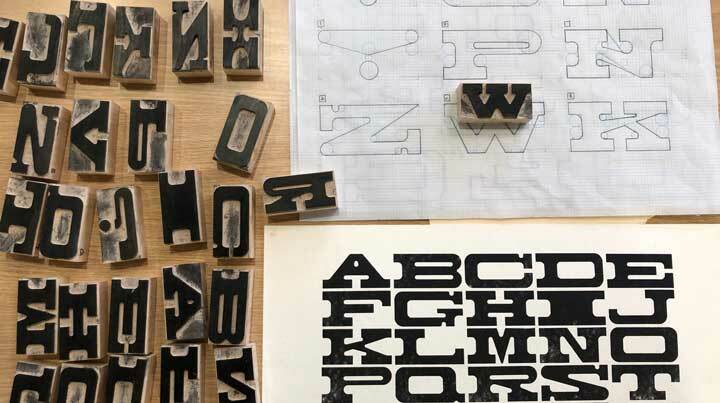 Associate Professor of Art Eli Hall created handmade wooden typographical letters..
Assistant Professor of Scenic Design Matthew Schlief will debut a new experimental production in Prague this summer..
Nearly 50 faculty and staff scholarly and creative works were on display at the fifth Author Showcase, which is a collaboration between Tomlinson Library and Academic Affairs. 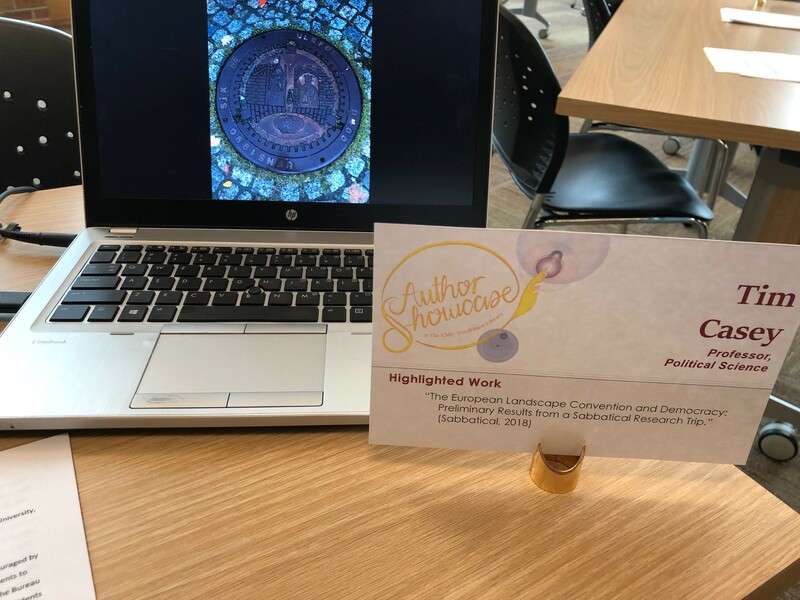 “Author Showcase is an opportunity to take a break and celebrate our accomplishments as faculty and staff at CMU,” said Reference and Distance Services Librarian Laureen Cantwell, who coordinated the collection of work and submitted her own book chapter on digital badging and using micro-credentialing in higher education settings to the showcase. 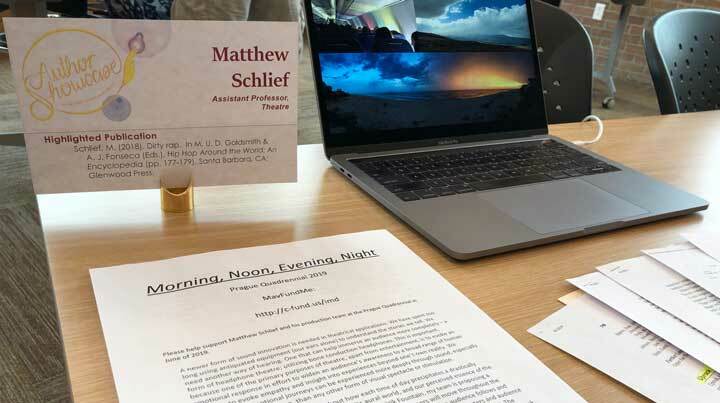 Author Showcase has evolved during the last three years, starting as a celebration of books in fall 2016, the showcase then featured articles in spring 2017, the fall 2017 showcase highlighted art work and performance content and last spring included sabbatical and Fulbright research. There were 12 academic departments represented as well as the library and information technology department. In total 144 works were included in the showcase including books, book chapters, articles, conference abstracts, reports, memoir essays, handmade sketchbooks, a sabbatical-focused slideshow, original music composition, handmade wooden typographical materials and a theatre lighting/set design slideshow. 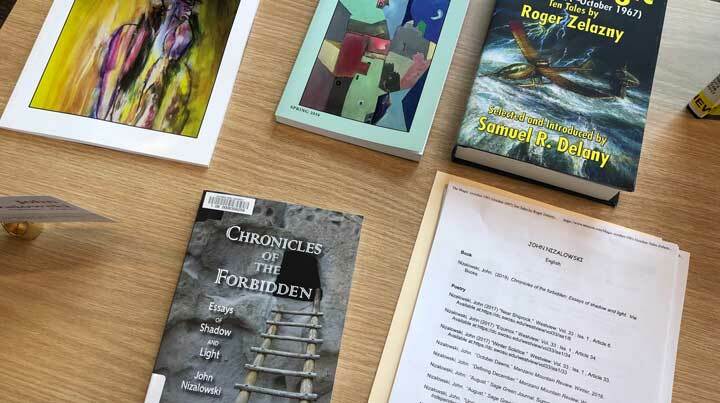 Prior to the showcase, the library staff works to acquire as many of faculty and staff publications to add to CMU’s library collection. Moving forward Author Showcase will be an annual spring event.